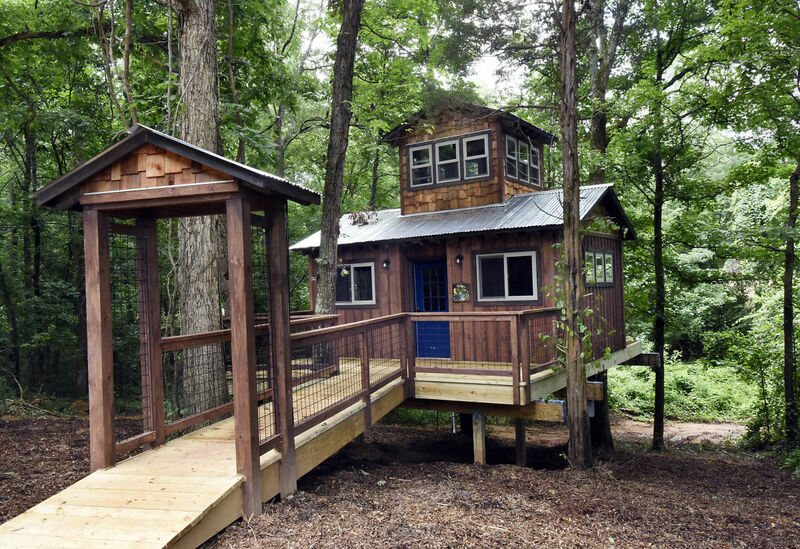 Part of the Cherry Treesort properties, "Sweet Ashley" is a two bedroom, one bath authentic treehouse featuring a queen bed on the main level as well as a couch that pulls out into a queen bed. Upstairs you will find a twin mattress with a deck overlooking the farm. 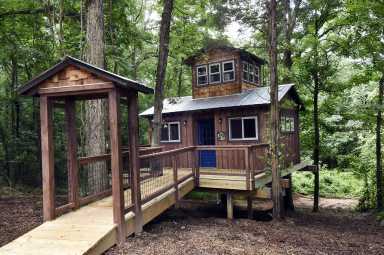 This property also offers heat, air conditioning, a full bathroom, fridge, microwave and television. Guests have access to the 26 acre farm as well as their own fire pit and swings.